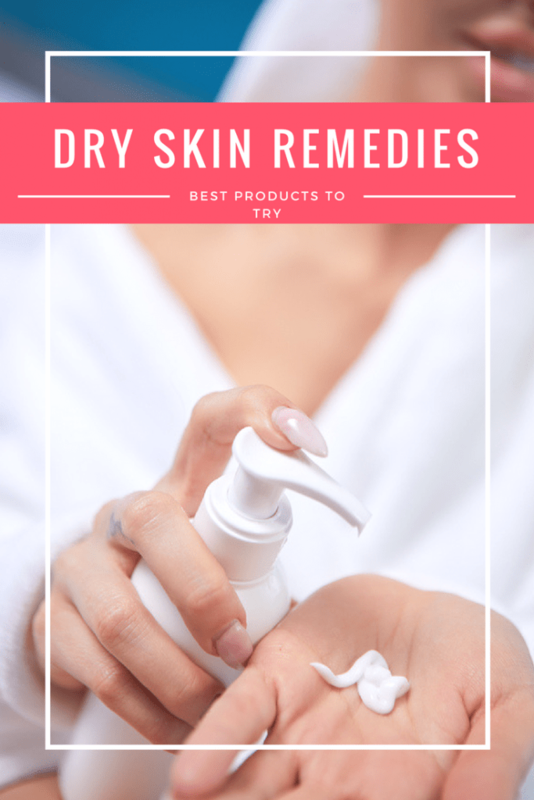 Are you looking for some dry skin remedies this winter? 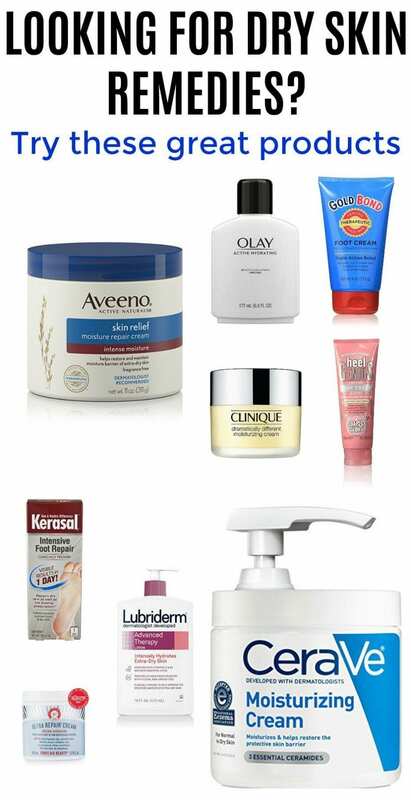 Check out this list of some of the best products for dealing with dry skin on your body, feet, and face. It seems that the winter is particularly bitter and cold just about everywhere in the U.S. this year. With this unexpected cold also comes unexpected dry and cracked skin. However, there are plenty of products that can salvage your skin. Plus, there are things you can do to keep your skin from getting dry in the first place. Here’s a list of products and dry skin remedies for combatting dry, cracked skin this winter. The name says it all! This cream from Clinique moisturizes and protects the face all day long and keeps the skin supple and younger looking. Use this cream day and night to see results. This non-sticky, nighttime moisturizer works for every skin type from oily to dry to combination and has been praised for its high-end quality and drugstore price. On top of that, it’s oil-free, fragrance-free, and won’t clog pores. This facial lotion provides 48 hours of moisture, fights fine lines and wrinkles, and even works for sensitive skin. Its lightweight and won’t clog pores, perfect for acne-prone skin. Its non-greasy feel tops off this all-around A+ moisturizer. This all-over moisturizer has an oat-base, different from regular moisturizers. It has the ability to keep skin from getting dry in the first place. Use this cream after you get out of the shower so it can soak into your skin and keep the irritation and dryness away. This affordable, dermatologist-tested lotion provides 24-hour moisture. It’s loaded with vitamins E and B5, as well as lipids that are found naturally in the skin. You’ll see results in one week with this non-greasy, drugstore-prices lotion. This dense, whipped-cream type lotion has eucalyptus oil and anti-oxidants that can restore dry, cracked skin. Don’t be turned away by the price of this stuff, though, because it comes in a huge tub that’ll last you for many upcoming winters. If you’re going to invest in a moisturizer, this is the one. It can also be used for your face! (Bonus). This stuff is made especially for feet, which don’t usually get as much attention as the face during the winter. It’ll moisturize even the toughest, most cracked heels, and fast. You’ll see results in as little as just a few hours. You won’t be disappointed with this wonderful foot cream. If you’re looking for more of a light, sweet cream to keep your feel soft this winter, go for this Soap and Glory gem. This cream has allantoin, glycerin, macadamia oil, menthol, bilberry, orange and lemon fruit acid. Crazy, right? The light, sweet fragrance is perfect and won’t overpower. This highly concentrated ointment will give you results in just one day, even for the driest, most cracked feet. It soaks in deep and can heal even the most intense cracks. If you’ve lost all hope for a cream that will heal cracked feet, take a crack at this one. Use a cleanser specifically for dry skin. Start this before winter so your skin is already prepared for the cold temps. Just avoid most bar soaps, which will cause dryness by removing skin’s natural oils. Use a thick moisturizer every day and night, especially if you go outside. Drink water. This is always important and you should drink at least 8 glasses a day, but it’s especially important for skin during the cold winter months. Moisturizing the skin from the inside will keep it healthy on the outside. Use face masks that have hydrating properties at least once a week to ensure your face doesn’t get dry and cracked. Try masks with hyaluronic acid, honey, glycerin, cucumber, olive oil, and rose. ahh! I have been having the worst dry skin ever. So glad you shared these tips! My husband has such dry skin and I try to get him to use thick lotion before bed and he hates it! Lol. Thanks for sharing!